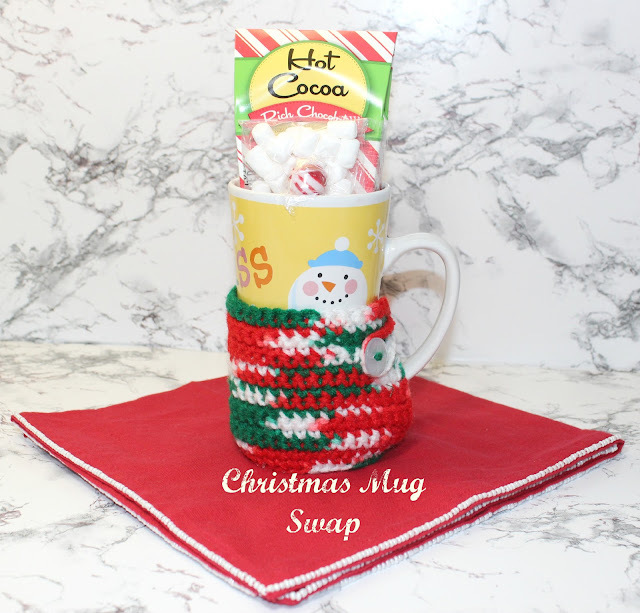 This year I participated in a couple of Coffee Mug Swaps which were both hosted by Heather over at Heatherly Loves. I had a fun time shopping for a Christmas mug and sending it out this month to my secret swap. I received the cutest Christmas mug stuffed with yummy peppermint cocoa mix and a hand crocheted mug cozy from Colletta's Kitchen Sink. Colletta has a Etsy shop with the cutest crocheted items. She has Doll clothing, hats, hair accessories, beanies, etc. You should definitely stop by and check it out! Very Cute. What a fun Swap! Hopefully, I can participate next year.